This Summit includes CPO Roundtable Program and the Future of Sourcing Awards. The majority of SIG Summit delegates come from Fortune 500 and Global 1000 companies, with nearly 40% representing decision makers with functional expertise and business line responsibility. Click here to see who attends our Summits. We thank these partners for their support of the SIG Global Executive Summit. 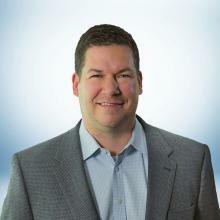 Bill Harris is the Director of Indirect Procurement Strategy at Honda North America. While at Honda over the past 25 years, he has supported roles in supply chain management, procurement operations and governance implementation. Bill’s career has consisted of strategic supplier leadership, sourcing allocation and technical project management. He has compiled a track record of customer focus, strategic thinking and problem-solving acumen through multiple organizational transformations. Bill currently serves as a board member to SIG and Wright State University, providing insight into the manufacturing field. Tim Cronin is Florida Blue’s CPO and Vice President. In this role, Tim is responsible for directing the programs and actions of the procurement function and corporate real estate. Tim holds an MBA from the University of Tennessee and a Bachelor of Industrial Engineering degree from Georgia Tech. John Fafian leads the Sourcing Strategy and Negotiation team at PwC, where he is responsible for $4 billion in annual spend. 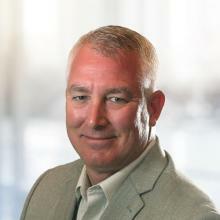 John has extensive technology and non-technology sourcing experience including infrastructure, application development and business process outsourcing on an onshore, nearshore, and offshore basis. Prior to joining PwC, John held a variety of executive sourcing positions in financial services and industry, including Morgan Stanley, Arrow Electronics and Credit Suisse First Boston. John is also a frequent lecturer on a broad range of areas related to sourcing and outsourcing. 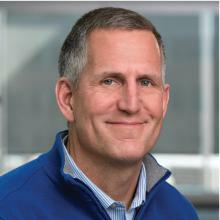 As the Chief Procurement Officer, Jim leads a team responsible for the entire supplier value chain which includes sourcing and supplier selection; contract negotiations; purchase order and invoice management; and delivering third party risk governance services for goods and services from third party vendors across all areas of Capital One. Partnering closely and proactively with business owners across the firm, the team seeks to maximize supplier relationships while ensuring all vendors are fully compliant with the company's third party management policies and procedures. Jim has more than 30 years of experience in the procurement field with a record of success as sourcing strategist and tactician, delivering consistent results at leading global manufacturing and financial services companies. Jim earned a Bachelor's Degree and a Master's Degree from Syracuse University's School of Management. He currently serves on the board of directors for the Women's Business Enterprise National Council (WBENC), a leading advocate for women business owners and entrepreneurs. Prior to joining Capital One, Jim held various procurement positions at JP Morgan Chase, Washington Mutual, Toyota Motor Company and Ford Motor Company. Away from the office, Jim spends time with his family enjoying travel, hiking, skiing and supporting charitable causes. 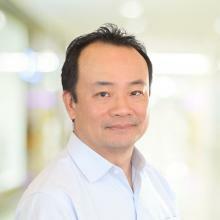 Viet Ho is the Chief Procurement Officer at Russell Investments. Viet and his team manage approximately $1 billion in third party spend for both corporate and Funds. Services include strategic sourcing, category management, and spend compliance. Viet has over 16 years of experience in Procurement and Supply Chain at major corporations such as JPMorgan Chase, Washington Mutual, Procurian, AT Kearney, Deloitte and PwC. Greg has 20+ years of global executive leadership in the finance, operations and supply chain space with service based, high-tech, R&D and manufacturing concerns. M.Sc. Management with emphasis in contracts and procurement. Certified Sourcing Professional by Sourcing Interest Group and previously held Institute for Supply Management Certified Purchasing Manager and National Contracts Manager Association Certified Professional Contracts Manager credentials. His specialties include: Procurement, Strategic Sourcing, Supply Chain Management, Materials Management, Category Management, eProcurement, Business Process Re-Engineering, Supply Chain Automation, Services Procurement, Supplier Enablement, Operations Management, Inventory Management, M&A Integration, Corporate Responsibility, Supplier Diversity, Outsourcing, Offshoring, MRO, IT Sourcing, Brand Implementation and Management and nascent technology start-up advisor. He is a founding member of the Bay Area Procurement Council comprised of Silicon Valley and Northern California procurement executives. Participates on a number of advisory councils - ScoutRFP, ProcureCon, Coupa, DocuSign to name a few. 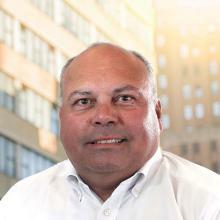 Lawrence Kane is responsible for Strategic Sourcing Functional Excellence in IT. 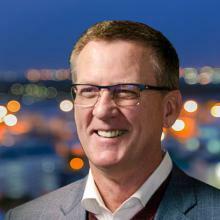 He created the IT infrastructure sourcing office and vendor management programs at Boeing and has subsequently saved more than $2.9B by architecting sourcing strategies, designing full sourcing lifecycle management processes and tools, conducting procurements, negotiating with suppliers, and benchmarking resultant contracts. One of two Boeing Designated Experts (BDEs) in the company, he led the first successful multi-sourcing effort at a Fortune® 50-sized corporation, subsequently completing a variety of complex multi-supplier ITO and BPO transitions while assuring seamless service delivery despite significant changes in suppliers and sourcing mix. He institutionalized best practices and innovations that were instrumental to Boeing earning the prestigious Global Excellence in Outsourcing (GEO) award from the International Association of Outsourcing Professionals (IAOP) in 2018. A member of the SIG University Advisory Board, IAOP Think Tank, and IAOP Training & Certification Committee, he has had a personal hand in creating many of the industry’s leading sourcing and procurement practices and advances thought leadership in strategic sourcing, benchmarking, and supplier innovation as a frequent speaker at industry conferences. He is also the bestselling author of 17 books. Her pioneering work has led to 6 books, including: Vested Outsourcing: Five Rules That Will Transform Outsourcing, Vested: How P&G, McDonald’s and Microsoft Are Redefining Winning in Business Relationships and Getting to We: Negotiating Agreements for Highly Collaborative Relationships. Vitasek’s work also won the APICS/Supply Chain Council’s Academic Advancement award for advancing the business. Vitasek is internationally recognized for her practical and research-based advice for driving transformation and innovation through highly collaborative and strategic partnerships. 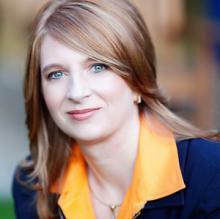 She has appeared on Bloomberg, CNN International, NPR, and Fox Business News. Her work has been featured in over 300 articles in publications like Forbes, Chief Executive Magazine, CIO Magazine, The Wall Street Journal, Journal of Commerce, World Trade Magazine and Outsource Magazine. 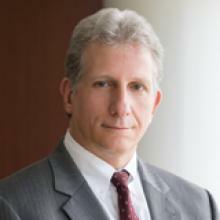 Edward J. Hansen brings more than 20 years of experience representing clients in technology transactions that involve significant business change. From the early stages of deals, Ed works closely with clients and their advisers on whole deal advice, often before a request for proposal is sent, and continues his support throughout the engagement’s life cycle. Ed employs a highly collaborative approach in counseling clients that are executing technology-enabled programs that require substantial supplier/customer interdependence, such as information technology outsourcing, business process outsourcing, and complex system integration not only for newly sourced deals, but also for troubleshooting and realigning problematic deals and sourcing distressed processes. Ed has a long history of applying business-oriented, innovative, and collaborative negotiating techniques to help simplify complex sourcing arrangements. As early as 2004, InformationWeek named Ed a key innovator and influencer who drives change in the business technology sector. 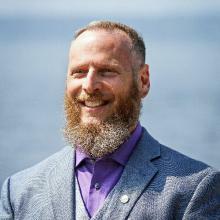 Later, a prominent industry consulting firm conducted a case study on his negotiating process, and most recently, he was featured in an exclusive interview with CIO.com and quoted at length in Strategic Sourcing in the New Economy: Harnessing the Potential of Sourcing Business Models for Modern Procurement . Chambers USA has noted that Ed is “recognized as a thought leader in the area” who is “challenging traditional ways to do outsourcing.” Commenting on his approach in Chambers USA , clients note that he “speaks to clients’ needs in an extraordinary way,” “is highly effective and respected by everyone involved in the deal,” and has a “disarming approach which can break down the pretense and malaise” that can build around a negotiating table. A leading industry expert notes that Ed is “fabulous at understanding how to construct complex outsourcing agreements that move beyond heavy-handed risk shifting to mutual gain and win-win.” In addition to being an active speaker at industry conferences, Ed authored and presents the “terms and conditions” module of the Sourcing Industry Group’s (SIG’s) SIG University certification program, regularly conducts contracting master classes (including for SIG’s Executive Immersion Program), serves on the advisory board of the Shared Services and Outsourcing Network, and is a regular guest lecturer at New York University’s executive Master of Business Administration program. 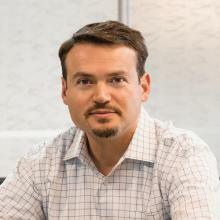 Rob Bernshteyn is a guest lecturer at Harvard and Stanford business schools, and a frequent contributor to Forbes and Fortune magazines. He can often be heard providing commentary on major news channels including Bloomberg and NPR. Rob earned a BS in Information Systems from the State University of New York at Albany and an MBA from Harvard Business School.